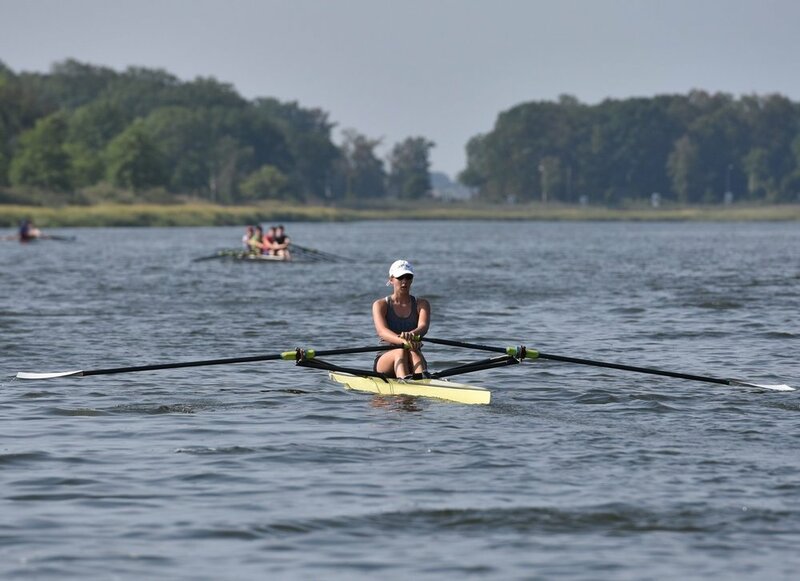 PCRA’s Masters Program offers Learn to Row, Recreation and Competitive programs for rowers of all skill levels in Westchester and the Sound Shore communities. We teach the rules of rowing and respect for the water, boat, crew and others. We are committed to building a stronger rowing community in the Westchester County, New York City and southern Connecticut areas by providing access to the rowing course on the Orchard Beach Lagoon out of our boathouse on Glen Island. The PCRA Masters program is open to all, no matter experience or age and regardless of whether one’s interest is to compete or simply to learn row as a healthy recreational activity. PCRA offers several different levels of rowing programs for Masters. We are always looking for people interested in learning what rowing is all about. Rowing is a wonderful activity, available to people of all ages. It is a challenging, rewarding, team-based sport, and it doesn’t hurt that we row in a beautiful setting on the Orchard Beach lagoon. Click the Learn More button below or contact admin@pcrarowing.com for more information. Resources for PCRA Masters Captains. Private lessons are for people who are new to the sport, as well as anyone who wants individual coaching to work on a certain skill.